13 - I dream, therefore I slash - Let's keep that in the sanctity of your brain, shall we? Had a weird dream right before waking this morning. I can't remember much of it, other than waking up and thinking "wow, who knew?!" 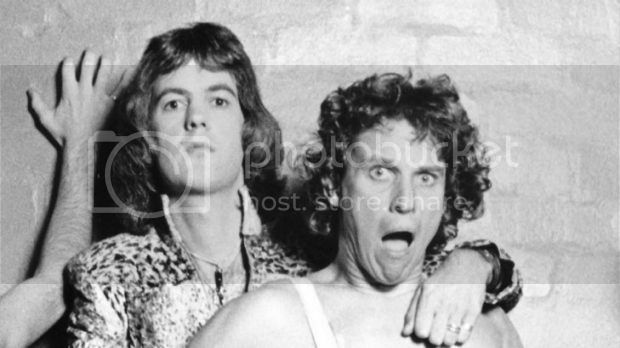 In my dream, these two guys - guys that I haven't thought about in years, guys who were in a band together, which broke up in the early eighties and one of whom died over 15 years ago - were a couple. I had no reason to ever think they were an item IRL; Greg had girlfriends and Graeme was married twice. Funny thing, the sleeping brain. See the tall guy in white? That's Greg. The guy leaning on his shoulder? That's Graeme, nicknamed Shirley due to his curls. I found so many photos featuring just these two. And that. So, 35-odd years after they split, my brain finally picked up on the subtext. Never said I was the quickest *g*. So ... I'm not quite clear - where they actually a couple IRL? And what band was it? No, they weren't a couple IRL, these photos are just messing with my head *g*. 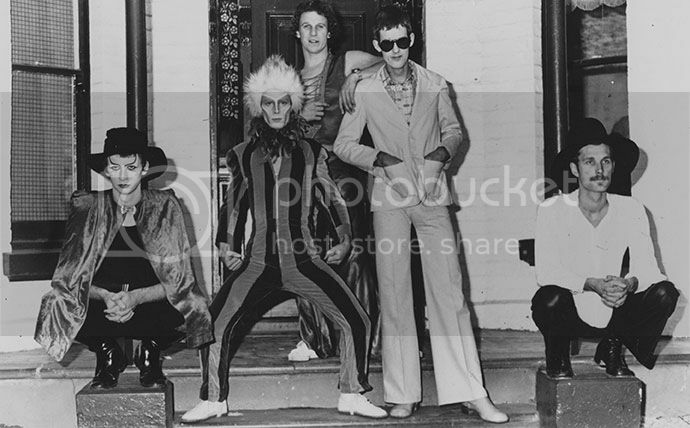 The band's name is Skyhooks, they were one of the first Australian bands to really go mega here with a string of hits while their first album Living in the 70s was No.1 in the album charts for 16 weeks and was the highest selling Australian album ever, at that time. 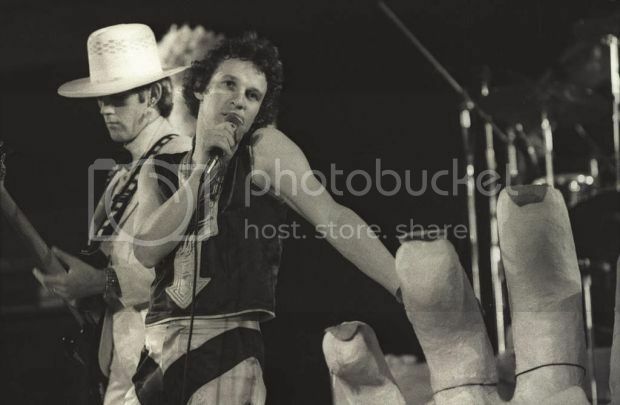 I vaguely remember Skyhooks music, but do remember 'Shirley' as he was on one of the midday shows, maybe Ray Martin. I loved this band so much, my bedroom walls were covered with posters of them when I was in my teens. Even on my ceiling! So sad when Shirl died, it was like a little bit of my childhood disappearing.